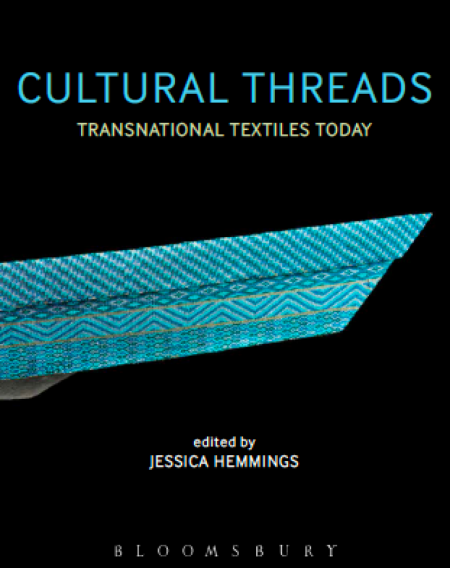 Editor (Bloomsbury: 2015) Cultural Threads: transnational textiles today considers contemporary examples of artists and designers who work work at the intersection of multiple cultural influences and use textiles as their vehicle. 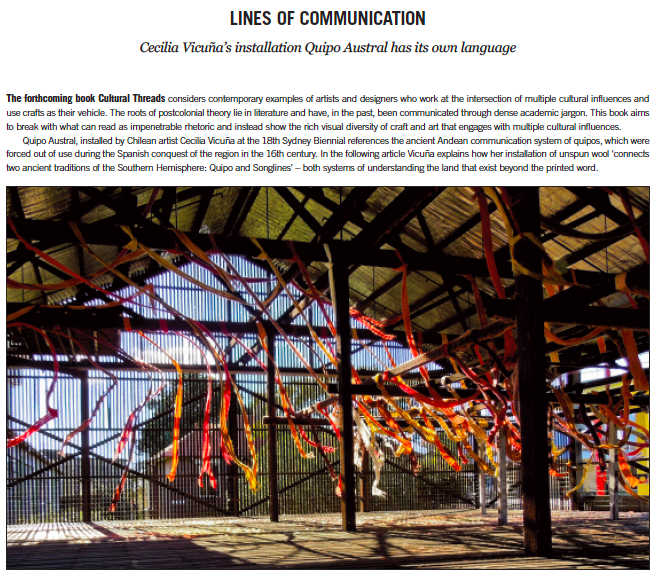 Edited by Jessica Hemmings, contributors include Julie Ryder, Cecilia Vicuna, Elaine Reichek, Mr Somebody & Mr Nobody (Heidi Chisholm/Sharon Lombard), Vlisco, Damian Skinner, Francoise buy ambien cr generic Dupré, Sarah Rhodes, Sabine Broeck, Christine Checinska and Kevin Murray. 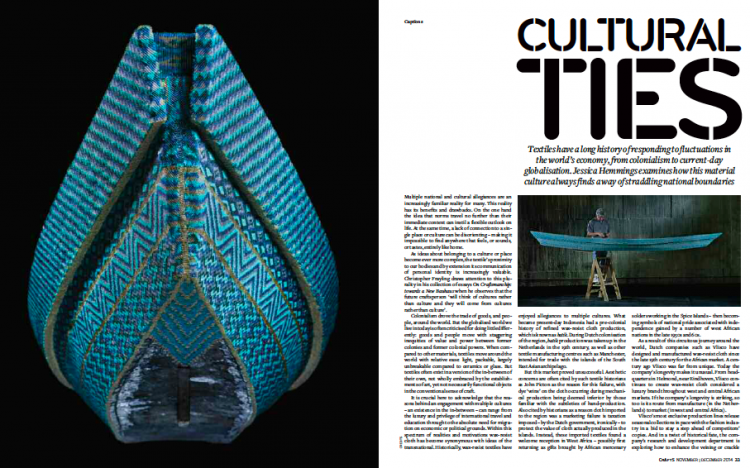 Culture File on RTE radio Lyric FM featured a piece on Cultural Threads December 9, 2014. 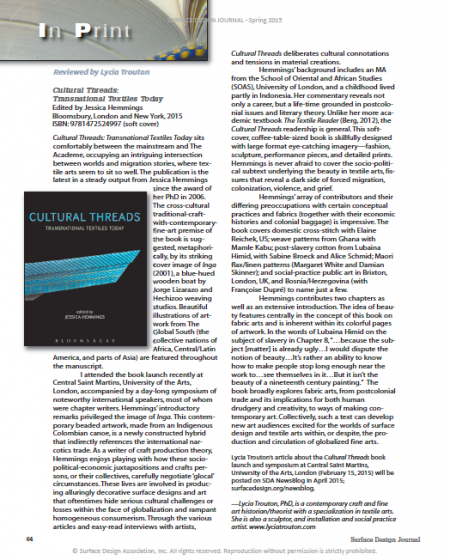 Adapted excerpts from Cultural Threads are in Selvedge (2014), Crafts (Nov./Dec. 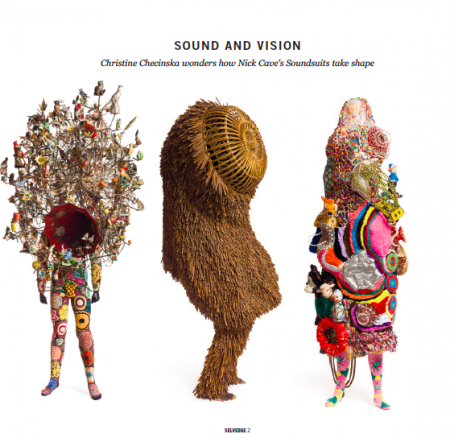 2014, pp. 42-45). Cultural Threads book review in the Surface Design Journal spring 2015: 64.
excerpt from Christine Checinska’s Cultural Threads chapter in Selvedge 2015.